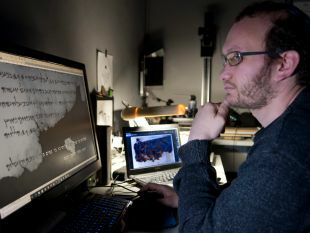 Advanced imaging technology originally developed for NASA has revealed previously unnoticed writing on fragments of the Dead Sea Scrolls, the Israel Antiquities Authority revealed on Tuesday. Moreover, one of the newly discerned and deciphered passages, written in early Hebrew, hints at the existence of a scroll never found and still unknown to researchers. The Dead Sea Scrolls, which date from the 3rd century B.C.E. to the 1st century C.E and were discovered in the Qumran caves near the Dead Sea in the 1940s, include some whole scrolls and tens of thousands of fragments from as many as 1,000 scrolls and manuscripts. For the sake of posterity, digitalization and research, all are being photographed in high-resolution under different types of light, which among other things brings previously unseen writing invisible to the naked eye, as well as some ink stains, to light. The mysterious fragment written in paleo-Hebrew wasn't the first early-Hebrew writing found at Qumran, including in the famous Cave 11 itself, Oren Ableman of the Israel Antiquities Authority and Hebrew University of Jerusalem tells Haaretz. 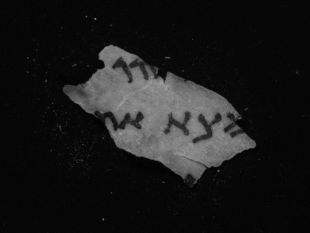 But its handwriting differed from previously found scroll fragments in this early form of Hebrew, Ableman explains. Its uniqueness leads him to speculate that there may be a whole scroll that has disappeared, or at any rate, not been found yet. Key to his theory is a truism to this day: we all have unique handwriting. 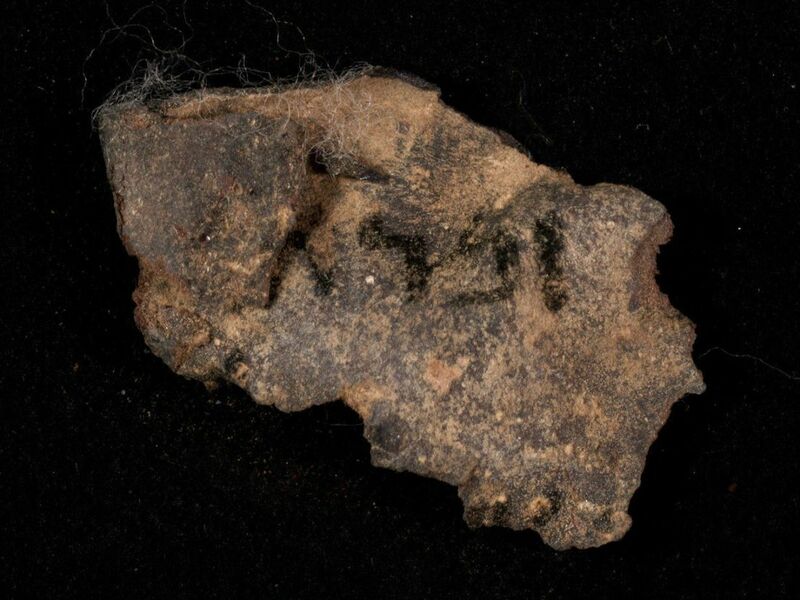 "What was exciting about this particular fragment is that I could tell that the handwriting was not identical to other fragments of this type of script. That leads me to believe we are dealing with a manuscript that we didn't know about," Ableman says. As for the count of how many Dead Sea manuscripts and scrolls have been found at Qumran – it depends who you ask. "I'd say between 900 and 1,000," Ableman says. It depends how one defines manuscripts versus scrolls but chiefly, argument can ensue over where a given fragment belongs: this scroll, that manuscript and so on. "In rare cases the manuscripts are entire," he explains: most are teeny pieces with a few letters on them, and there's a whole range in between. Hence the disagreement over what laypeople might think is a trivial matter – how many scrolls have been found. The writing on many of these fragments is just a few letters, not complete words or sentences. Even so, Ableman could tell which scrolls most of the fragments were from, generally speaking. 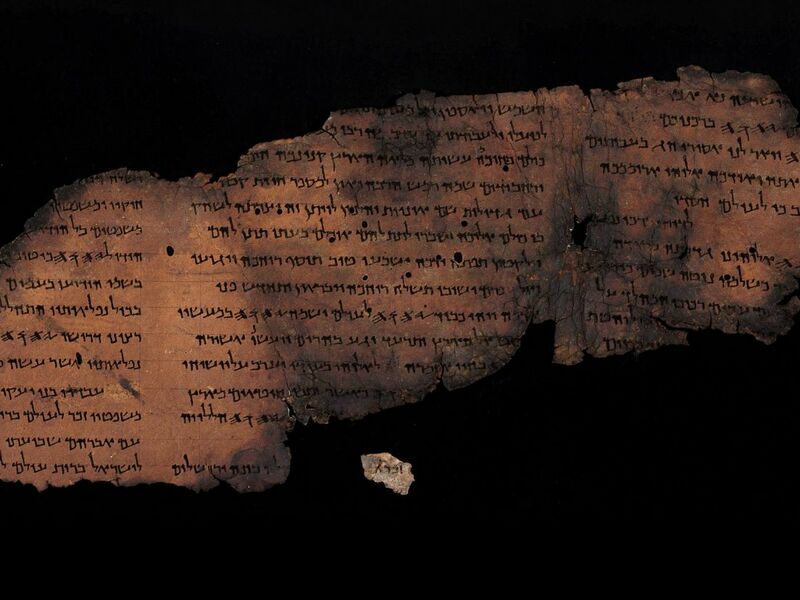 The findings were presented Tuesday at an international conference at the Israel Museum in Jerusalem, marking the 70th anniversary of the scrolls’ discovery. Researchers described new understandings gleaned from dozens of fragments found in Cave 11. 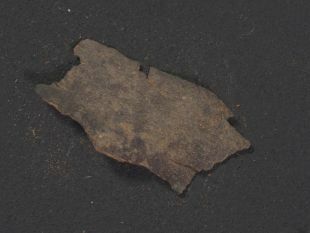 One fragment had text belonging to the so-called Temple Scroll. The Temple Scroll is the longest of the scrolls found to date, though like them all, it was damaged. Originally found in Cave 11, it contains a combination of texts found in the bible today, mostly from Exodus and Deuteronomy, and extra texts too. Its authors remain unknown. The original is displayed in the Israel Museum's Shrine of the Book. Remarkably, Cave 11 itself had not one Temple Scroll, it had two – and based on the fragment found, possibly there were three. Though, Ableman stresses, while the first and second copy seem identical (though bits are of course missing), the third copy might not have been. "Scholars are unsure if this is actually another copy of the same text of the Temple Scroll, or if is just a similar text," he says. Though the text matched that of the original Temple Scroll, again, there were differences in handwriting. That leads Ableman to believe that the fragment wasn't a bit broken off the known two copies, but was from a third copy. And what did this Temple Scroll say? Apparently, it contains grousing about the way the Temple was being managed. "The commonly accepted theory is that this was a text, either belonging to Qumran or adopted by them, that was probably written by people who thought the temple should be run in a certain way, which was different from the way Temple was actually run," Ableman says. Possibly, he speculates, the authors fondly hoped their writing would actually persuade the Temple authorities that that is how things should be done. We do not know if they had any success. Another of the newly deciphered fragments was one from the large scroll of the biblical book of Psalms. This fragment includes the beginning of the first verse of Psalm 147, which had been missing up to now. This fragment shows that at least one version of the Psalms used during the Second Temple period (which ended in 70 C.E. with the Roman destruction of Jerusalem) was a word shorter than the version in use today. Note ye that during the Second Temple period, at least among the sect living at Qumran – there was no one overriding version of the biblical texts, Ableman explains. "They had different versions, some identical to the Masoretic texts we use today, some different to more or less degree." In fact, during the Second Temple period, they evidently used more than one version of the book of Psalms. Ableman believes the newly found fragment is similar to the ancient Greek translation of this verse. And yet another fragment begs more questions than it answers. That is the one with letters written in ancient paleo-Hebrew, which could not be attributed to any one of the known manuscripts. This raises the possibility that it belonged to a still unknown manuscript. No, they haven't done carbon-dating on the fragment, but this form of blocky paleo-Hebrew was the script commonly used in the First Temple period, Ableman explains. That said some scrolls were still being written using that ancient script in the late Second Temple period, he says. 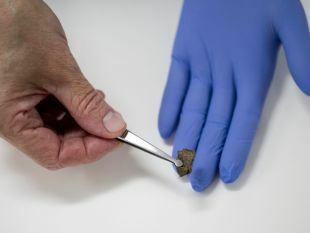 Even among the paleo-Hebrew fragments, there are signs that help the researchers distinguish differences between First Temple and Second Temple texts, and certain features of the handwriting indicate that this fragment dated to the late Second Temple period. The researchers also found fragments from the books of Deuteronomy and Leviticus.